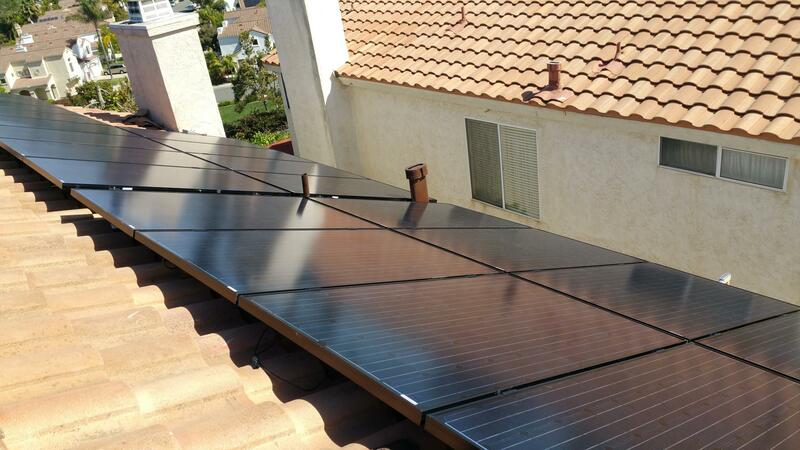 For 10 years, GR8 Energy has specialized in the design, installation, and maintenance of turnkey, co-created solar power systems that meet each specific clients needs. At every juncture of the “Going Green” process, we offer our clients personalized service that focuses on their unique energy profile. 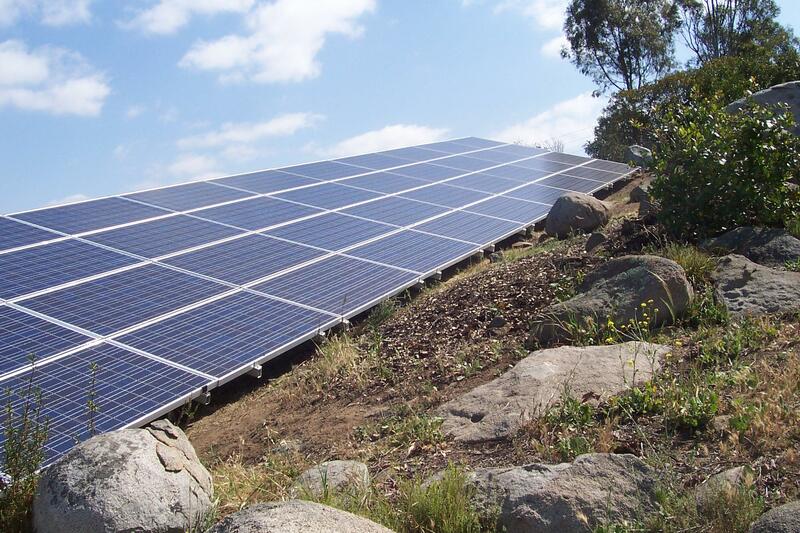 Southern California based solar PV integrator specializing in community solar projects which support healthy community development and sustainability. Best in class racking equip. Zero electric bill in O'side! I am so glad that I found Gr8 Energy. Working with Ross and team was painless. He was always available quickly to answer my questions throughout the process. The installation team was absolutely top notch. And, behind the scenes, Grace kept me informed and handled all the details with SCE and the installers. I have a top notch system and could not be more pleased. I would work with them all again any time. "Satisfied with the final product"
Original review: "We are in the midst of our project. The follow through and customer service that other reviews have stated are not there for us. We email questions and receive no response." Edited review: "After posting the review and contacting the company by telephone, we received lots of action on our project. Within a week, our project went through inspection and some hassles with our area's inspector caused a delay. GR8 energy sent their technicians to our home to make the changes required by the inspector on multiple occasions. They came through and we are up and running. They additionally offered to cover our cost for our electric bills for the long delay in our project. We are happy with the product we received thus far. Updates through the steps of the project and questions answered are areas they could improve. We can't wait for the hot summer months and enjoy the savings on our electric bills. Thank you GR8 energy. 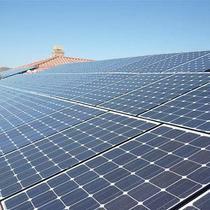 Thinking of going solar, contact GR8 Energy. When I got serious about investing in solar, I found this website, www.energysage.com, where I could get a wealth of information about solar and anonymously get bids until I was ready to connect with the ones I wanted conversation with. They pre-certify these companies and there are site reviews of them. GR8 Energy was one of the first to bid. As with the others that bid, I also went to Yelp for additional reviews that ranked GR8 Energy high. I then made contact with John Christ, who was very responsive, informative and friendly. He was so great through the whole process. Because NEM 1.0 was ending in June, I wanted to get this installed as soon as possible, but it was the end of May. John said it might be possible, but we would have to get started. He was willing to come out to put together a proposal during the Labor Day weekend and was responsive as we went back and forth on questions that whole weekend. Grace in the office and the installation supervisors, Hebert and Enrique, were all wonderful, informative and responsive. 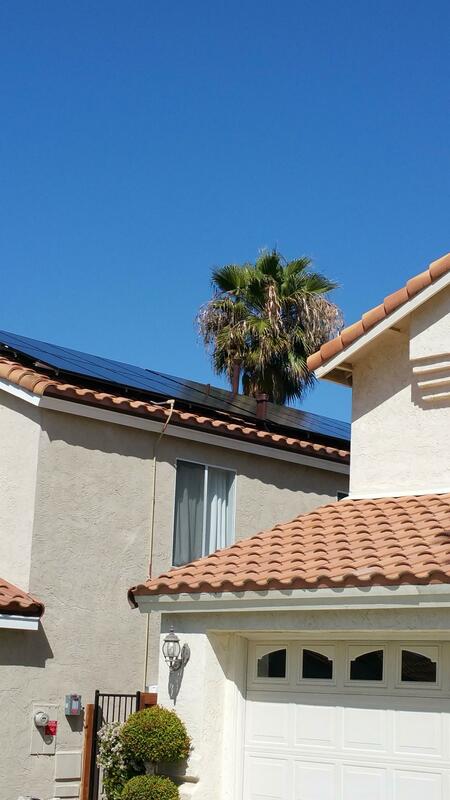 As of today, I have solar running and just received the Permission To Operate (PTO) from SoCal Edison. I had been putting off going solar for many years until I recently learned that the rules for Net Metering are changing on July 1, 2017. I knew it was time to stop procrastinating. 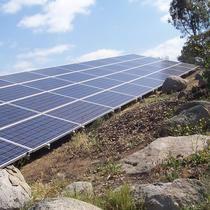 I began researching panels, inverters, optimizers, and learned all I could about solar. After that self-study "crash course", I had a pretty good idea about what I wanted/needed from a solar generating system. I understood the "nuts and bolts" about the system itself, but I didn't have a clue as to who to have the system installed by. I started with the "big names" (the ones that advertise on the radio) to get an idea of what a "typical" solar installation consisted of and its cost. None of them had exactly what I was looking for, they had limited offerings, usually a single product or a slight variation. Their prices also seemed a bit high. My search continued. I Googled some more and read lots of Yelp reviews. Then by chance, I came across a website specific to solar--EnergySage.com. 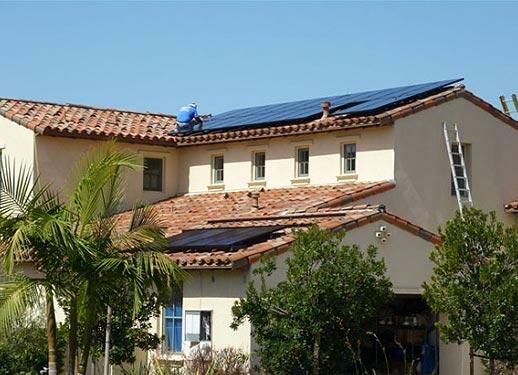 Yep, more still on everything solar, including reviews on solar contractors. Their website also made it easy to get competing bids from several solar companies at once. It's similar to using Edmunds or KBB for car shopping. I got 4 or 5 quotes almost immediately. Mostly from smaller solar companies that I've never heard of. That's how I found GR8 Energy. They had very good reviews on EnergySage and on Yelp, so I responded to them. I'm so glad I did. Unlike the "big radio advertisers" they offered a selection of products instead of just one or two variations of the same thing. GR8 Energy had EXACTLY what I was looking for. John Christ was the man with all the answers. Yes, he was very professional, extremely knowledgeable and helpful; but what impressed me the most was that he always responded quickly to my MANY questions via phone calls, emails and text messages. He gave me solid advice on how to fine tune the system I'd been "researching". He truly understood what I was looking for. I needed a 6+kW system. I also wanted high efficiency panels like the ones by SunPower, but the high cost of these premium panels was hard to justify. 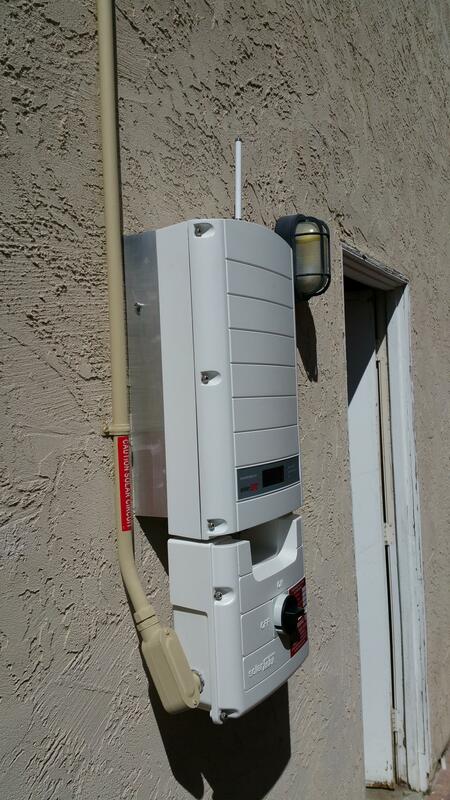 John recommended the VERY efficient Panasonic HIT 330W panels with a SolarEdge power optimizer / inverter system rated at 6.6kW. These Panasonic panels are "premium" panels without the "premium" price tag. That was it! I was SOLD. Amazingly, GR8 Energy's price beat ALL of the other bids. Including those that provided "lower end" and (much) less efficient panels that would have required additional panels covering a lot more area, and multiple surfaces on my roof! Remember what motivated me to install solar right now?--imminent Net Metering changes (NEM 2.0). With this in mind, John, Grace, Shelley, Hebert(?) and crew at GR8 Energy worked hard to get the job done ahead of schedule. Every step of the way came together just as planned. Our HOA meets only once a month and the next meeting was less than 2-weeks away from the time I signed the contract to get started. They got all the plans, drawings and everything ready to submit with time to spare. They took care of all the "red tape" like permitting, inspection, and filing documents with my utility company. They meticulously handled every part of the project. We were given "Permission to Operate" from SCE almost exactly 5-weeks from first contact with GR8 Energy. Phenomenal! As for the installation. Hebert(?) and his talented crew really know their stuff. Our installation took the usual two days to complete. At the end of each day, you could not tell that they'd been there. No trash or debris left behind, anywhere. I'm a big DIY guy (from auto repair to woodworking and furniture building). I appreciate quality workmanship. The care they took in the installation is outstanding. Even the way they ran the electrical lines and connections is a thing of beauty! 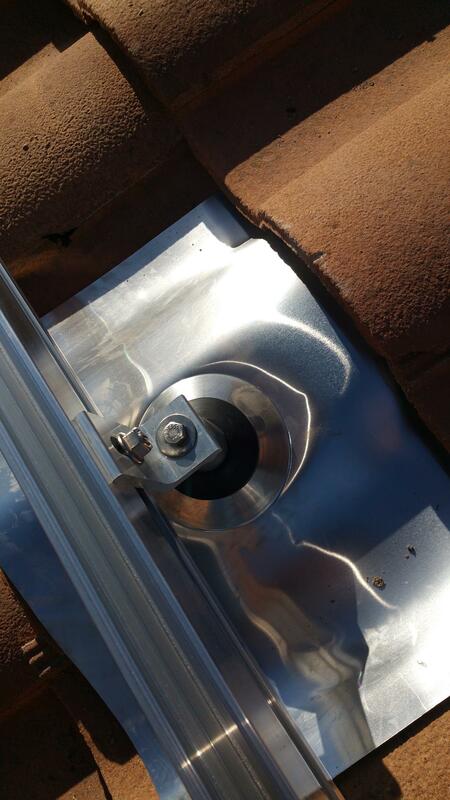 Instead of simply running conduit straight across the exterior wall, they took the time (and extra materials) to run it along the chimney and under the eaves to lessen the visual impact. Very clean. We're now generating power and I just love watching the electric meter "run" backwards! My advice. If you are thinking about going solar, first do your homework. Understand your needs, then compare everything--especially the contractor. If you do this, I think you'll see for yourself, that you simply cannot go wrong with GR8 Energy. They are not the biggest, but as far as I'm concerned, they are absolutely the BEST! Thank you all at GR8 Energy for a job well done! I am an attorney and a miserable curmudgeon when I make a major investment. I read everything, compare everything and winnow down the options. We decided to go forward with Gr8 after checking with probably 7 or 8 companies including the companies working with Costco and Home Depot. We are in an HOA community and this was going to be the first major solar installation in the complex. As a member of the HOA Board of Directors, the solar installation had to be visually appropriate as well as produce enough energy to offset our $600+ monthly summer electrical bills. If you would like to see an example of the Gr8 Energy work product as installed, I give Gr8 Energy permission to give my name and contact information to prospective customers. If that earns a "commission," I will gladly ask Gr8 Energy to deduct that amount from your final cost. No one will ever accuse me of "generosity" (I believe spontaneous acts of generosity by any attorney violates State Bar Rules...) but I have grandkids and their future climate and clean air will be determined by our embrace of clean energy today. Do yourself a favor and call Gr8 Energy. Based on my experience with the quality of their panels and inverters, their imaginative design, installation and service reputation - and price - in the words of Tony the Tiger, "THEY'RE GR8!!" Where do I begin, this has to be the best experience when hiring a contractor I have ever had. It all started with filling out the Energy Sage profile and I began receiving quotes for the solar panel system for my home. Out of all the quotes I received Gr8 Energy's quote stood out, not only was it the best priced but also it was the most detailed and highest quality materials being used. I was contacted by John from Gr8 Energy and I set my appointment for him to come out and take a look at my property and give me a solid idea and talk about my project. John is extremely professional and easy to talk to, he is on time, returns all phone calls and emails within a timely manner. We decided to go with Gr8 Energy and John set up everything, he was able to draw up all the plans, write up a contract and was patient while we waited through the HOA process of approval. Once we had approval we set a date for the installation and the installers showed up on time and we extremely patient, knowledgeable and friendly to talk to. John explained the installation would take two days and he was right on the money, two days after they started the job was complete. Grace set up the date for the inspector to come and sign off on the permit, once the permit was signed off on within two days we had permission to operate from Southern California Edison and out electric bills we disappearing. John returned a few days after we were granted permission to operate and he explained the whole system and how it worked. After the first month passed I saw my electric bill and was not sure if it was correct, I contacted John and he was able to look up the system and explain exactly how to read the bill and see the system was producing how it should and how SCE breaks it down. John is the ultimate professional and a true asset to the Gr8 Energy company. I want to thank everyone involved with helping my family go solar. It has been a great decision and I could not have picked a better company. HIGHLY RECOMMEND! You won't be disappointed. Ross and the team did a great job end to end. We have a very detail oriented HOA here. GR8 did the site analysis, drawings, document submittal, changed it all and did it all again as well as attended the review meeting with me. 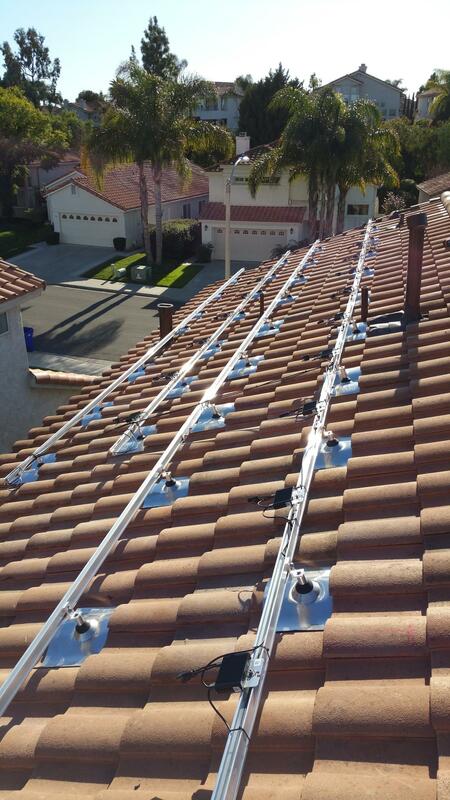 Installation and SDGE approval was very fast and we were up and running. Hardware issues resolved quickly. And as a followup after a couple of months of flawless operation, I noticed the system had stopped working. GR8 had the guys out here the same day and sorted the issues. There are a lot of companies out there looking for your business who just subcontract out to installers, and are not accountable. I highly recommend GR8 as they own the process start to finish. "Not Just GR8, but also Great!" Our choice to go solar was dropped, but it had nothing to with the great experience and service provided by energysage and GR8 Energy. They were my leading choice based upon their responsiveness, pricing, and quoted equipment and service. "working in record time "
Had 20 lg panels installed. Up and running in record time. 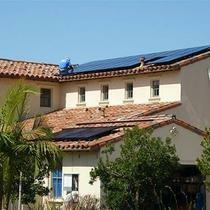 I give Ross and his crew high marks for their knowledge and expertise in PV solar systems. I got a high quality solar system at the very low end of the range of quotes. The system was professionally installed in a short amount of time. My system has been up and running since January 2016 without any problems. 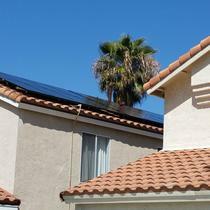 I had Ross install a 12.5 kw system for me and its doing just what he said it would do .overall very happy with its performance and workmanship he provided me and also his employees were great too work with also .I would recommend Ross for any Solar project .were in Lancaster Ca and the system has done us great and producing more then what we expected so far .Great Job Ross . Sign Brian R.
We were overall very happy with everything from the initial discussions to the install. The crew that installed were very nice and great to work with. So far things are running well, so glad to say goodbye to the electric bill. "Triple A - Great price, great service and great quality"
Gr8 Energy has it all. They offer best-in-class equipment for a competitive price. The whole process of selection, purchasing and installation was very smooth. My 12 panel system was installed and fully connected in a single day. Everything is working and looking great. Couldn't not have asked for more. 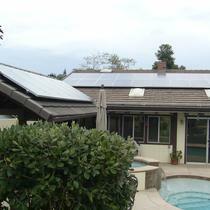 I spent considerable time interviewing four Solar installers; three in North County and one in San Diego. GR8 presented the best proposal and Ross Fockler did exactly what he said he would do. Furthermore, he did it quickly, efficiently and cleanly. He was able to beat a deadline to preserve my California Incentive. This was a large installation for a residence (14.5 KW) and he guaranteed the first twelve months' production in an amount about equal to my previous twelve months' use. We seem to be on track to meet that objective, with seven months to go. With some other solar outfits you may be dealing with a salesman who does not make the final decisions. At all times I found GR8 to be courteous and responsive and would not hesitate to recommend him to others. We found GR8 Energy through energysage. We were looking for about 4.5kW (DC,max) system to offset about 600 kWh/mo average electrical usage. By this time we already were familiar with relevant numbers and some of the best equipment. 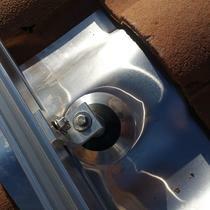 We had talked with one high quality installer, but the quote was around $20K and seemed high. Enter energysage: within a day of signing up and entering our basic residential information I received several quotes and it confirmed that the first quote was on the very high end. GR8's quote stood out for three reasons: (1) It was among the lowest (~$16K, equivalent to $3.35/W), (2) it used top equipment (LG320 neon panels, enphase 280 microinverters), (3) Ross Fockler of GR8 added a note that showed he had read my desire to still get the system operational under NEM1 (net metering 1 for SDG&E expires in the next weeks). We set up a meeting (4/20/16) and then things started to move real fast! Installation begun Fri 4/29, finished Mon 5/2, inspection done Wed 5/4, and we were allowed to operate Thu 5/5 (two days ago). This was also helped by a fast track system currently in place in the Carlsbad area. The system works great, Ross followed up as needed, his crew was efficient, friendly, and clean, while Grace sent all the relevant documents and invoices through email. Couldn't be happier with how this went - a rare experience. As a retiree on a fixed income, I was in search of a reputable solar installer, providing an outstanding product at a reasonable price. GR8 Energy satisfied all those requirements and more. Ross and his team were efficient and extremely customer focused. The overall experience from quote to the system becoming operational was terrific. My recent electrical bill from SDG&E was under $10! Looking forward to the return on my investment. John Christ at GR8 Energy was very great to deal with. He was responsive, flexible, and was always willing working with me to design the best system for my family's needs. Install team was excellent and did a clean job. They were flexible when I asked them to put the inverter is a specific location in my garage. Some minor city/fire inspection delays that could have been avoided (probably due to unique requirements from city to city), but not a huge deal in the grand scheme. Great experience and I will be referring them to friends and family. GR8 energy made our transition to sun harvesters quick and painlless. The Gr8 energy team was very efficient and professional. It is great to deal directly with the owner of the company. Ross worked with me on 3 different solar system options. He was always quick to get back with me as I asked questions as we worked together to the final system configuration. Ross explained all the steps and timelines of the project. Once the system was decided upon , I accepted the Gr8 energy bid via energysage on Feb. 15 . from that date I was installed ,inspected and given PTO (Permission To Operate ) on Mar.1 . A two week completed solar install . Wow. This was all possible because of the experienced install team .Grace working Net Energy Metering application paperwork and Ross making coordinating the overall job. I am so pleased with the installation craftsmanship and overall customer service. I would definitely recommend Gr8 Energy. "GR8 Energy is truely GREAT!!" My wife and I used EnergySage to obtain multiple quotes for a solar project for our home. After reviewing eight contractor’s bids we selected GR8 Energy. 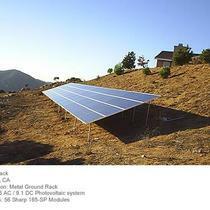 We liked GR8 Energy’s profile and they were also the lowest price. I contacted Ross, the owner of GR8 Energy to start the process. Ross was great to work with and he took the time to educate me on how the system would work and interface with the electric company and what to expect during each phase of project. Selecting GR8 Energy turned out to be a great decision! It was amazing how fast our solar project was completed with the installation of a 13.23 kW system comprised of 42 solar panels. We signed with GR8 Energy on the 7th of March and had Permission to Operate (PTO) from SDG&E on the 21st of March. GR8 Energy’s team was well coordinated and worked quickly to develop the design, generate the drawings and obtain the permit. At the same time, Grace, from GR8 Energy, moved quickly to facilitate our SDG&E Net Metering (NEM) agreement and the installation of an SDG&E Renewable Meter Adapter (RMA). Our dream team installers, Herbert, Marco and Enrique did an expert installation. The installers were very professional and knowledgeable and took the time to answer all questions. Our new solar system looks GREAT, and is performing at a high level as promised. My wife and I could not be happier with our experience with this outstanding solar company. If you are looking to install solar, we highly recommend GR8 Energy as a company you can trust to do as they promise. "GR8 Energy = Great Service!" Ross and Grace were wonderful. 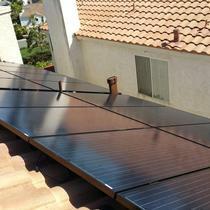 The solar install was quick and relatively painless and they walked us through the entire process. I would highly recommend his services. "GR8 Energy = Great Job"
Ross and his team did exactly as promised, on-time and on-budget. He was quite helpful in adjusting the design to meet my budget and payback goals. The 4 man crew were polite, accommodating, did an expert install as well as thoroughly cleaned up my property after themselves. The inspector commented that this was a high quality installation and my wife and I are very happy with the aesthetics. I found Ross to be highly ethical and would recommend GR8 without reservation. "Solar, a four part process for success"
Solar power is not necessarily for everyone, but for a majority of us it makes perfect sense. 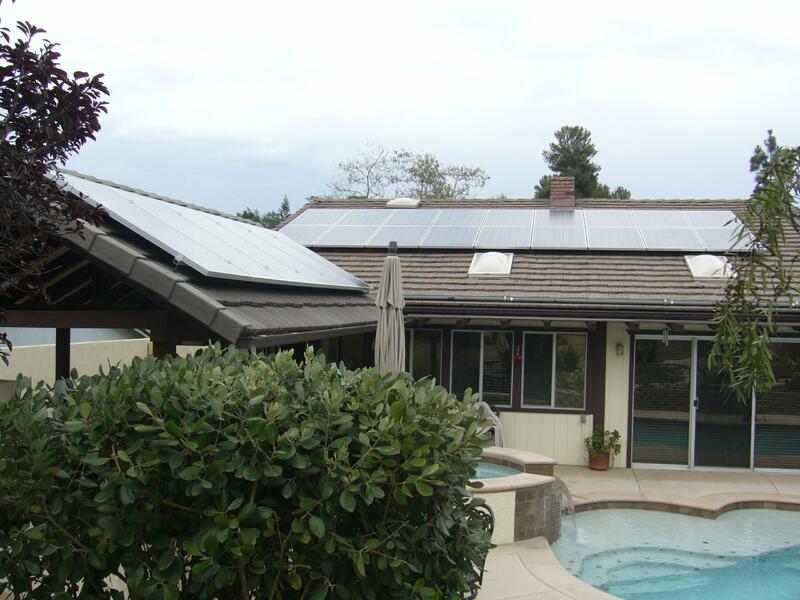 The four part process of solar should be determining, comparing, installing and on-line. Determining if you need solar is a process that one has to look at in regards to current electric bills vs. usage, how long you will be at your residence, etc. This initial step should always be referred back to throughout the entire process. The comparing process is ultimately critical. Ever vendor will have a different angle and each interview is a learning process. Do not make a decision in the early stages. This is one time that a minimum of 4 to 5 comparisons are needed. GR8 energy stood out in this category as Rick would promptly answer follow-up questions, yet he would not apply the pressure for a decision. Suggestions and modifications were made along the way and Rick put my needs first. We decided on GR8 energy based on the following areas that they scored the highest in. First the price was the most competitive even though I had decided on TWO SMA inverters and a panel upgrade. Second, time-wise, GR8 was the most flexible in conforming their schedule to my schedule. I wanted to be there for a majority of the install, although it was not necessary. The install process, with Ebert and Enrique actually added value to the project. They were helpful and their installation was top-notch. From the quality of their equipment they brought to the site, cleaning up every day, wearing safety equipment was without question among the best as they had a significant level of experience to bring to the job-site. There were some minor paperwork issues with Edison, but Grace handled those promptly and the PTO (Permission-to-Operate) was issued December 1st. The system so far has worked impeccably. I still haven't tried the emergency plugs that the SMA inverters have, but one should give that option a serious look for at least the ability to charge cell phones, laptops etc in a system wide utility failure. Thank you to the GR8 team; Rick, Grace, Ebert and Enrique for your outstanding efforts in providing a system with this much ease! Ross essentially rescued us. After another company failed to stick to their bid, I called Ross. He met with us, assured us that we could count on GR8 to get the job done right, on time and on budget and they did exactly that. We couldn't be happier. If you're like us and believe a handshake on a deal should mean "you can count on it" - then Ross is your guy! "Make sure you get a bid from GR8 Energy"
Ross at GR8 Energy was fantastic to work with and we are very satisfied with our PV system. We got two other bids from other companies through Energy Sage plus one from a company a friend had used. However, our initial meeting with Ross was what sold us. He is the owner and we liked dealing directly with the person who owns the bottom line. His knowledge and informative answers -- both online and in person -- to our many questions convinced us GR8 Energy was the company to go with. We were not disappointed. Communication from start to finish was prompt and complete. His installers were efficient, clean and polite. And personal follow up at job completion was a nice touch. We even referred our friends, who coincidentally were also shopping for a solar system, and they dropped their number one choice and went with GR8 Energy. After meeting and reviewing many different proposals for installing our solar panels, we went with GR8. They had the best deal, worked with us to meet our personal needs, had the best financing, and answered all of our questions immediately! I worked in the legal field for 20 years and have always been very hesitant and asked numerous questions before making a major purchase. Ross was very patient, respectful and courteous with us and worked with us until we felt we had what we wanted. I felt that we were in good hands, and so I must say that we are very happy we chose them! He walked us through the entire process. It went smoothly and professionally and the workers worked very hard and stayed on schedule. Our monitoring system is already showing the drastic savings! I feel that the savings from our solar panels will assist us with more savings well into our retirement! "Fast, efficient and looks great"
Our experience with GR8 Energy was wonderful from start to finish. We were very new to solar and Ross explained everything in easy to understand layman's terms. He offered a very reasonable price and the process was very quick. He is owner and oversees all the projects. He didn't need to as his team was incredibly fast, efficient and did a wonderful job but it was nice to know he would be around and wasn't just a salesman. The customer service was also top notch. On top of it, Ross is just a really great guy with a wonderful sense of humor. I highly recommend his company. I had a good experience with GR8 Energy. Ross was always helpful with answers but not pushy. Once we decided to have him do the work, he handled all the details (including financing, permits, etc) and got it done quickly. He provided professional looking drawings before starting the project. The crew was professional and did nice work. They were open to my aesthetic concerns and modified the conduit routing even though I expect it cost them a little more. Our system has been in operation over a month now and is working great. 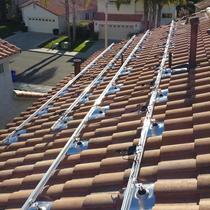 The team at GR8 Energy did an excellent job throughout the process of my rooftop PV installation. During the sales process, Ross was very helpful in providing information and explaining the details of the process and the various equipment options. I liked GR8 Energy because they were willing to be flexible about the type of PV modules. 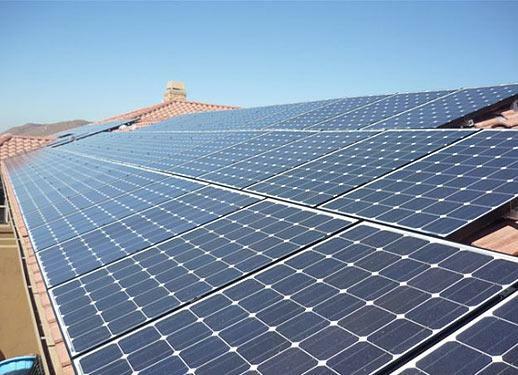 They are not trying to force a particular brand of PV module, although they will certainly make recommendations based on their knowledge as to best panel for a given installation. In short, GR8 Energy was patient and willing to help me get comfortable with my decision to go solar. From my own experience, I can say that GR8 Energy is an excellent fit for anyone who is looking to buy or self-finance their solar system. Very collaborative sales approach, with no sales pressure or typical greasy sales tactics. The installation went flawlessly. GR8 Energy did very good work. the final product looks professional and very nicely done. they did a fine job of minimizing the visibility of conduit runs by choosing where route the conduit, and by matching paint color for external areas. bottom line....solid company with integrity. Very focused on customer service and doing the job right. I’ve hired many companies, and Ross and his team are among the best. I shopped 8 different solar venders, and they knew more, had much better equipment and the lowest price (I saw bids $6,000 higher!). They did a great job on our house and the system is exceeding expectations. (SO LONG SCE!!). They were on time, efficient, and left no trace. No one HAD to come into my home, or measure my roof to give me a quote, close me, etc. (Most all other solar companies try to make it real complex and technical so you fall into their sales cycle- truth is, it’s more like just buying a light bulb. How many watts can your area produce, and how much do you need. Pay cash, loan or re-fi. That’s it). I did all on line. Need I say more? They did a beautiful job. I can check my production online anytime. Ross’s depth of knowledge expedited the approval and permitting process. I was up and running months before other companies told me was possible. For knowledge, professionalism, great equipment and service- my research lead me here, and I’m really happy with my system and the value GR8 Energy delivered. You can’t go wrong. I stumbled on EnergySage, for which I thank thank my lucky stars, because it led me to Gr8 Energy. This was one of the easiest project/major purchases I'd ever experienced. Working with Gr8 Energy is like buying car through Fleet as opposed to haggling and dealing with the sales games of the regular car sales department. I had solar installed on our house at the same time or a little after a bunch of my friends got solar for their homes (and I would've recommended Gr8 Energy to them if they lived in SoCal), and my experience was so different from theirs that they're jealous. I dealt primarily with Ross as my contact person. We first spent about 2 weeks emailing about what system I should get for my house. His opening suggestion was a smaller system than we'd wanted (I'd forgotten to tell him we want to eventually trade in our ICE cars for EVs), using a string inverter when we wanted the new-fangled microinverters (which cost more and most companies try to upsell to that right away), so I knew right off the bat that Ross was trying to figure out what we NEEDED as opposed to what he could get out of us. He priced the system reasonably, made the changes I requested (bigger panels! more panels! microinverters! ), and got me the proposal back within a day. BTW, I know the website states their work hours, but I've gotten quick email responses from Ross late evenings, on weekends, early mornings. Late in the planning stage, I changed my mind and went with his original suggestion of a string inverter based on the fact that all the panels are able to fit on one plane on our roof, string inverters are more market-proven, it has a hefty warranty, it costs less, and the particular system Ross recommended gives us a designated outlet for electricity use even when The Grid goes down in a power outage (our neighborhood had a power outage during the planning stages of our solar project and my husband freaked out about his salt water tank fish dying from the pumps stopping). I told my friends about this feature, and they'd never even heard of it and now they regret some of their decisions. So Ross amended the proposal and modified our system once again, into a beefed-up version of the one he'd recommended to begin with. I felt a little sheepish about that, and he proved himself the expert, but the entire time, he was really, really nice about all my back-and-forths on decisions and didn't give me any problems nor delays whatsoever. So, 2 weeks for me to figure out what I want and commit to a proposal. Then Gr8 Energy did all the permits, got approvals from the City for the project, opened up the net metering request from SoCal Edison (SCE), all of which took maybe a few days, but less than a week. My HOA gave approval to the project based on Gr8 Energy's written plans in a week. Then Gr8 Energy immediately went to work and built and installed my system in TWO DAYS. The third day, someone from Gr8 Energy came by only to meet with the city inspector, who praised their work, signed off on it, and contacted SCE to give them the green light. It took SCE another 4 weeks to give us the permission to operate (PTO). Ross's helpfulness did not end at at the completion of the solar installation. I've emailed him multiple times SINCE his job was done, for little things like, "How long is SCE going to take to give us PTO?" "Is that humming from the inverter unit normal?" "What was the performance warranty on the panels again?" "How come it's been rainy since our solar installation went up?" and he has responded to every single email with the same efficiency, patience and informative nature of his previous emails. 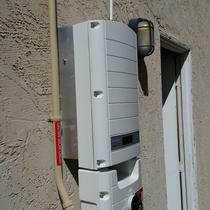 Whenever Tesla gets their home battery released on the open market, I'm calling Gr8 Energy back. I would and have recommended Gr8 Energy to anyone and everyone. I think my coworkers have grown tired of hearing about my amazing solar project experience. If you think THIS review is long, you would hate to hear me gush in even more detail in person. "Great service and customer oriented!" Ross and his team at GR8 Energy were a pleasure to work with. My wife and I met with several other contractors over the course of our search for the right solar company, and in the end it was a no brainer to work with GR8 Energy. Where most of the other providers seemed more interested in selling a particular product they specialized in, or pressuring us to go with a more costly overall project, Ross was straightforward with what he saw our needs were. In fact, he went out of his way to make sure that we were not going to over spend on any of the aspects of installing a solar system (in some instances without us specifically asking)! I will also say that this was a very customer oriented process that Ross and his team provided us. We were never pressured to hurry up and make any decision. We looked into several different options in terms of panel and inverter manufacturers, and he was always happy to oblige us with new cost estimates. In addition, he did not inundate my wife and I with follow up calls and emails on an hourly basis like some of the other providers we contacted. Ross and his team seemed to know that this was a major project for us, and allowed us the time we needed to make an informed and proper decision. I would recommend GR8 Energy to anyone looking for an honest, courteous, personal feel when it comes to purchasing their solar project. I would be happy to personally vouch for their service and workmanship! "Extremely happy with my system"
GR8 came to me via EnergySage as well as a recommendation from a colleague at work. GR8 did not disappoint; I am very happy with my decision to work with them. They not only had the best value but also the right (proper) system size for my needs as well as good quality. Ross was always throughout the process very responsive and things moved fast. They took care of everything and explained all aspects of my new system. I already recommended them to a friend looking into solar and will recommend them for anyone that asks me about my system. At one point, I was looking into Solar energy for my new home. I shopped around and found Solar Companies, being too pushy and very expensive. I decided not pursue Solar energy for my new home. Some time later, I received an electricity bill from So Cal Edison, that was ridiculously high and I hit Tier 4. That is when I decided to look into the Solar again. I came across GR8 Energy Solar Company. They sat down with me and went over on what type of system I needed. GR8 quoted me a great price. I had my Solar system installed and I love it. 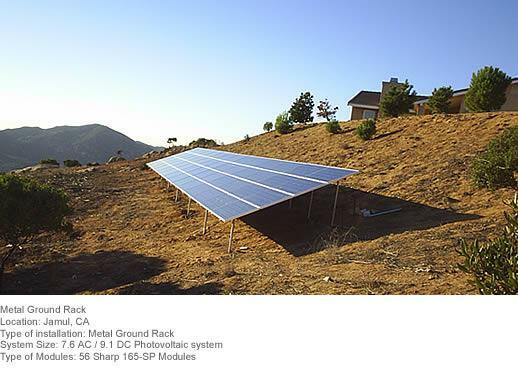 My system is sized correctly and is producing solar energy very efficiently. Ross is very knowledgeable and easy to work with. I had an option to choose a system based on my budget and specification. Also he took care of the city approval and installation pretty quickly for me. It is easier to work with him and get the things done relatively faster compared to big companies. Overall I had a great and smooth experience, and would recommend Ross for you solar system needs without any hesitation. "Overall, satisfaction is very high!" Initally, there were some bugs with my system that had to be worked out, but that's the case with just about any new technology these days. Fast forward over a year later, and our system has been performing great. Last year our electric bill was $140 for the entire year, and with the bugs worked out, this year it should be even less! Great work, Ross and team!